HUNTINGTON, W.Va. – Two Marshall University administrators have accepted permanent appointments to roles in which they had been serving on an interim basis, according to Dr. Gayle Ormiston, provost and senior vice president for academic affairs at Marshall. 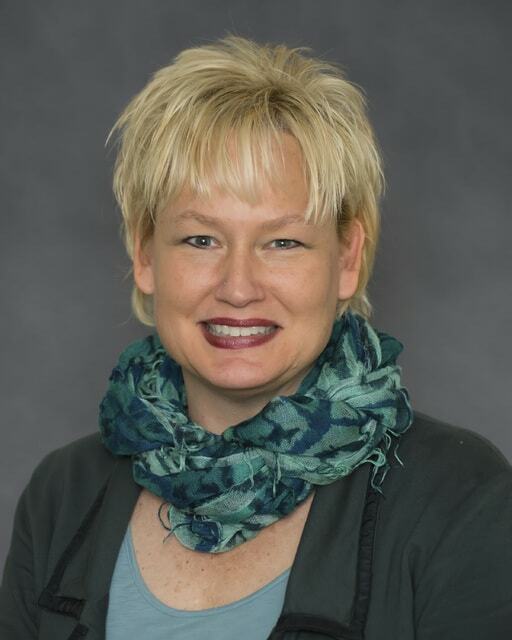 Dr. Sherri Smith, former executive director of the Center for Teaching and Learning, has been the interim associate vice president for academic affairs and dean of undergraduate studies since July 28, 2014. Ormiston said she assumed those roles permanently July 1. Dr. Karen McComas, former assistant director of the Center for Teaching and Learning, has been interim executive director of the center since July 28 of last year. She became the center’s permanent executive director, also July 1. “I look forward to the leadership and innovative approaches Dr. Smith and Dr. McComas, respectively, will bring to the success of Marshall’s students and faculty,” Ormiston said. Smith has worked at Marshall for 16 years. As a member of the English department faculty from 1999 to 2008, she taught numerous courses at Marshall, including British Literature; 19th Century British Novel, Pre-Raphaelite Literature and Introduction to Women’s Studies. She moved into full-time administration in the Center for Teaching and Learning in 2008. “Working closely with students, and then later exclusively with faculty, I have learned how to balance the perspectives of the university’s two most important stakeholders,” Smith said. “Now in my current role, that bird’s-eye view is everything. My job is to figure out how different procedures, policies, and programs are helping or hindering student success and progression toward the degree, and then to convey that global insight to others. I think I’m good at that sort of synthesizing, and the challenge draws on both my pragmatic side and my creative side. McComas said she is thankful for the opportunity to build upon the work begun by her predecessors, Dr. Elaine Baker and Smith. McComas joined the faculty of Marshall University in August 1986, teaching and supervising in the undergraduate and graduate programs in the Communication Disorders department. Previously, she worked as a speech-language pathologist in the public school systems of Carter County, Ky., and Lincoln County, W.Va., from 1978 to 1986. McComas earned a bachelor’s degree in 1977 and a master’s degree in 1978 in speech pathology and audiology from Marshall. In 2011, she earned a doctoral degree, majoring in curriculum and instruction with an area of emphasis in social inquiry. She has taught numerous courses at Marshall, including the capstone course for undergraduate students majoring in communication disorders, phonological disorders, and therapeutic procedures. McComas’ research interests include the relationship between narrative and identity, the cultural practices of a community of research practice, and the scholarship of teaching and learning. In addition to her duties in the Center for Teaching and Learning, McComas also serves as the university’s NCAA faculty athletic representative. Smith said the Office of Academic Affairs plays an important role in facilitating the work and mission of the colleges. “After a year in the interim position, I am eager to contribute more fully to systemic improvements on behalf of our faculty, students, advisers and administrators,” she said. She praised McComas as the right person to lead the Center for Teaching and Learning. As part of a service learning course that she taught, Smith founded Dress for Success River Cities in 2006 and also served as executive director until July 2009. This nonprofit organization provides appropriate attire and a social network to disadvantaged women who are seeking a new career. Smith earned a bachelor’s degree in 1986 in English and journalism education from Marshall; a master’s degree in 1989 in theology and ethics from Northern Theological Seminary; a master’s degree in 1993 in English from Northwestern University; and a doctoral degree in 2000 in Victorian literature, with a doctoral certification in women’s studies, from Indiana University.